Fly ash bricks machine price is a good product to start a new business. Our factory in Tukey produces Turkish Fly ash bricks machine price under its name Mussan Group with two-year warranty. Our models of Fly ash bricks machine price are named according to the abbriviation – MG, of Mussan Group. Fly ash bricks machine prices start from $3,000. 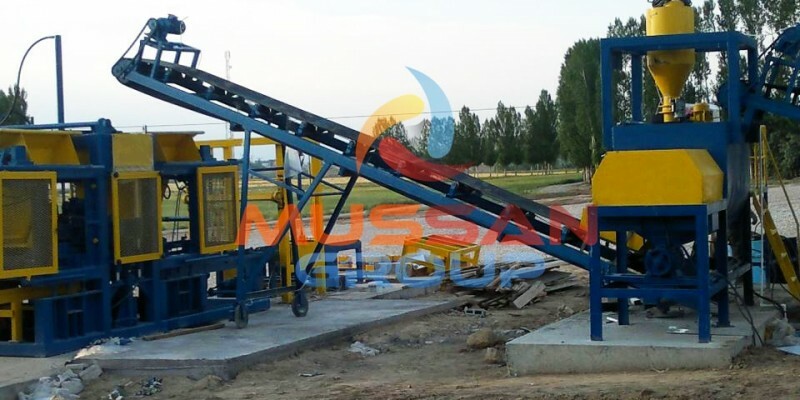 Fly ash brick machine manufacturer – Mussan Group makes automated factories for concrete block production. All of Automated and semi-automated brick machines, including laying block machine, has 2-year warranty. These high quality brick machines have tons of hydraulic appliable preassure on concrete block molds. Our works which are based on the principle of satisfaction and confidence of the customer in Fly ash bricks machine price ( Fly ash brick machine prices ) sector have shown the high value of our market share nowadays. You can contact us for more detailed information about the Fly ash bricks machine price. As Mussan Group, which sells its products to the whole world, you can check our references in the field of Fly ash bricks machine price from our website and social media accounts. Fly ash bricks machine price in South Africa, Madagascar, Nigeria, Georgia and many other countries, with export quality and support. Our support team, speaks fluently in English, Georgian, Arabic, Russian, Turkish and French. The support includes After-sale support, free consultation for your order according your needs, troubleshooting with advicing upgrade modules like pan mixer, convey band etc. Fly ash bricks machine price does not include shipping and generally shipment includes only FOB price. To read more about Block Making Machine For Sale , click the link below.